Pocas veces un arquitecto tiene la oportunidad de diseñar un libro dedicado a su propia obra. Zvi Hecker (Cracovia, 1931), con la colaboración del prestigioso comisario de arquitectura Andres Lepik, ha escogido sus esbozos y dibujos arquitectónicos para trazar el guión de su trayectoria e inquietudes profesionales. | Rarely an architect has the opportunity to design a book dedicated to his own work. Zvi Hecker (Krakow, 1931), with the collaboration of prestigious architecture curator Andres Lepik, has chosen his sketches and architectural drawings for plotting the screenplay of his career and professional concerns. “I am an artist whose profesión is architecture”, ha escrito Zvi Hecker –y este libro es buena prueba de ello. El singular (y artesanal) proceso arquitectónico que Hecker ha desarrollado durante toda su carrera ha dejado huellas gráficas de gran valor. Sus propios comentarios y reflexiones en torno a esos dibujos, que ilustran diferentes etapas de los trabajos, permiten a Hecker explicar tanto la concepción original de los proyectos, como abordar una discusión teórica sobre diferentes aspectos arquitectónicos. 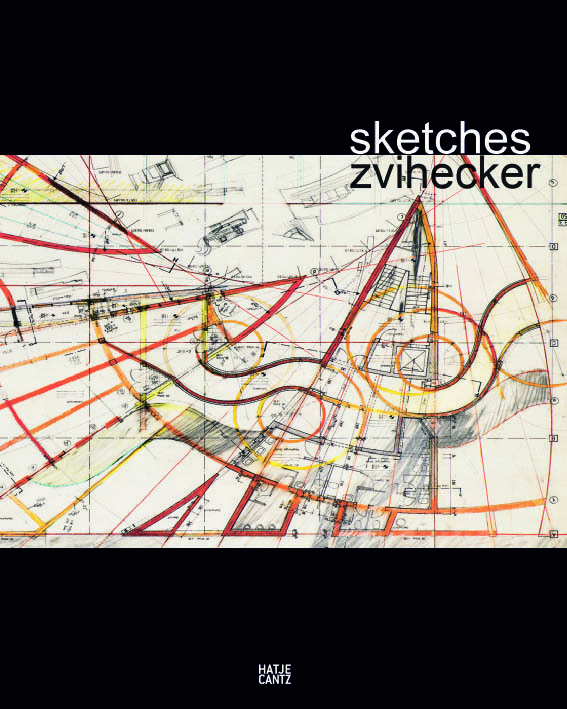 Zvi Hecker ha sido siempre conocido por la originalidad de sus obras. Son famosas sus geometrías, habitualmente cercanas a cierto organicismo metabolista. Algunos de sus proyectos más emblemáticos –el Spiral Apartment House, la Heinz Galinski School o el Mountains Housing Project, entre otros– pueden resultarnos cercanos a obras de arquitectos como Moshe Safdie, Piet Bloom o Jean Renaudie. El libro supone una interesante oportunidad de reflexión en torno al proceso creativo en la disciplina arquitectónica. Andres Lepik, en un texto introductorio, propone la cercanía del método de Hecker con los planteamientos fenomenológicos descritos por Juhani Pallasmaa en varias de sus obras -Los ojos de la piel, La mano que piensa-. Se trata, en definitiva, de una bonita edición de Hatje Cantz que admite tanto una lectura crítica como una visión meramente contemplativa. 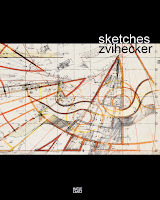 "I am an artist Whose profession is architecture", Zvi Hecker has written -and this book is a proof of that. The singular (and artisanal) architectural process that Hecker has developed throughout his career has left traces of great graphics. 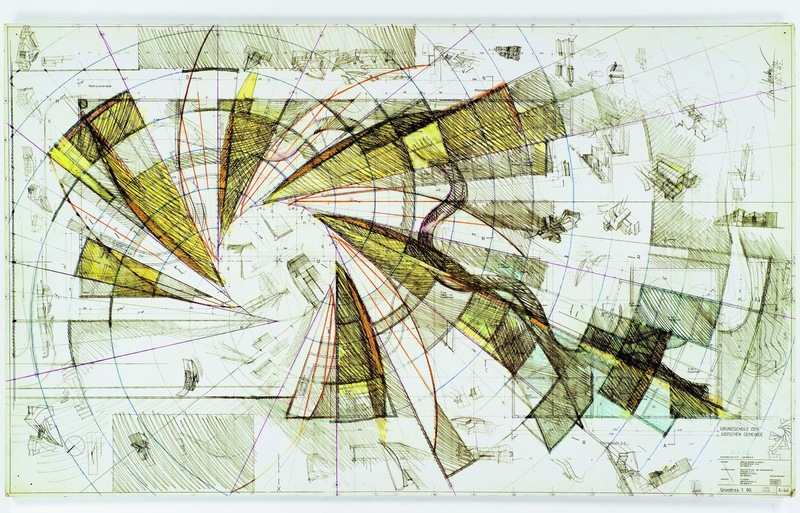 His own comments and reflections about these drawings, which illustrate different stages of the work, allow Hecker to explain both the original conception of the project, such as addressing a theoretical discussion of different architectural aspects. Zvi Hecker has always been known for the originality of his works. Its famous geometries, usually near to some organicist Metabolist. Some of his most emblematic projects -the Spiral Apartment House, the Heinz Galinski School or Mountains Housing Project, among others- can be seen close to works of architects like Moshe Safdie, Piet Bloom or Jean Renaudie. The book is an interesting opportunity for reflection on the creative process in the discipline of architecture. Andres Lepik, in an introductory text, proposes the proximity of Hecker’s method with phenomenological approaches described by Juhani Pallasmaa in several of his works -The Eyes of the Skin, The Thinking Hand-. It is, in short, a nice edition of Hatje Cantz that supports both a critical reading as a purely contemplative view.